RRP $208.00 $190.00/unit for 4 pcs. 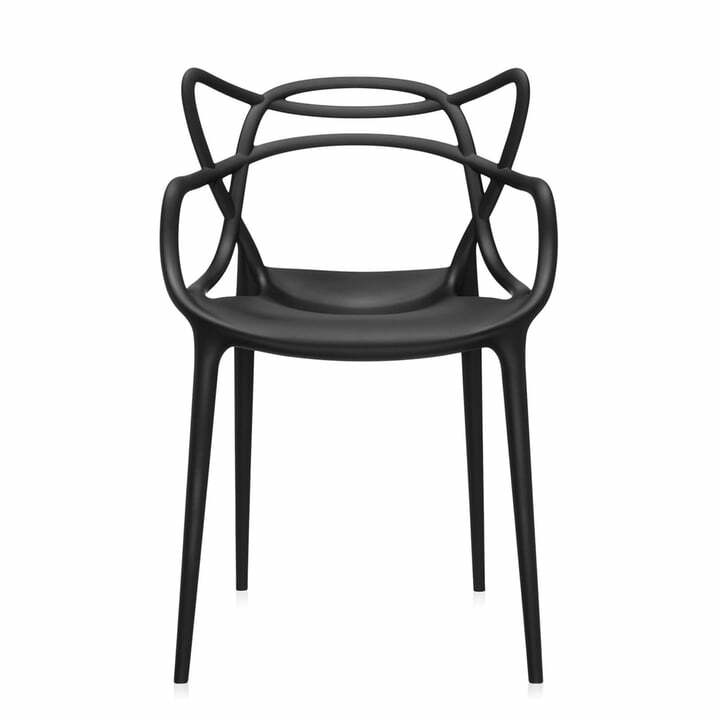 The Masters Chair by the star designer Philippe Starck for Kartell is a tribute to three icons of modern design. By means of a fusion of the most different styles, one “stylish all-embracing whole” was created. Re-intepreted in time and space, Masters combines the silhouettes of three classics: the Series 7 from Arne Jacobsen, the Tulip armchair from Eero Saarinen and the Eiffel chair from Charles Eames. The result is a fascinating and appealing mixture of styles, so extraordinary that the Kartell Masters chair was awarded the prestigious "Good Design Award" in 2010. Four narrow bars bear the generous and comfortable seating surface of Kartell's Masters chair, while the back of the chair amazes with its unique appearance. Characterized by full and empty spaces, the curvaceous criss-crossing lines of three different backs descend to meet together at the seat. 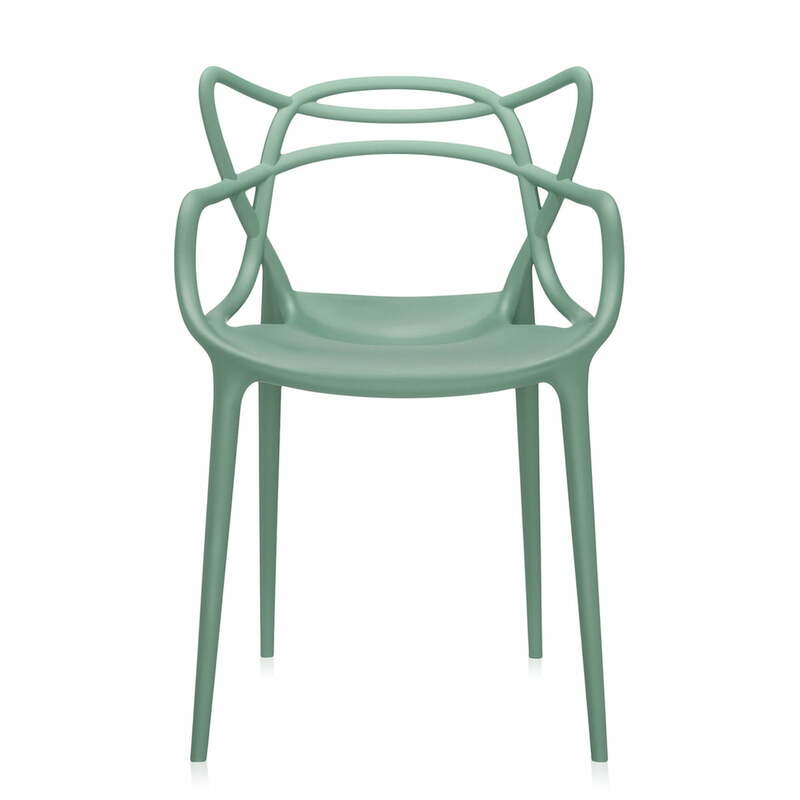 The Masters chair by Kartell is available in many colors on request. Chairs with such a modern and functional design! Thumbs up!